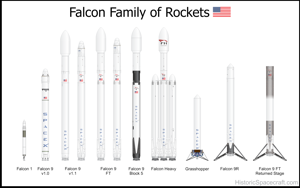 I have added the Falcon 9 Block-5 to the Falcon rockets graphic. 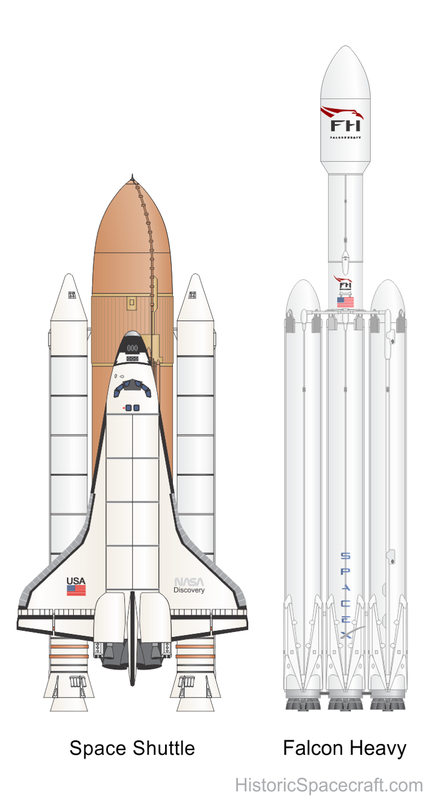 SpaceX Falcon Heavy and Space Shuttle comparison. 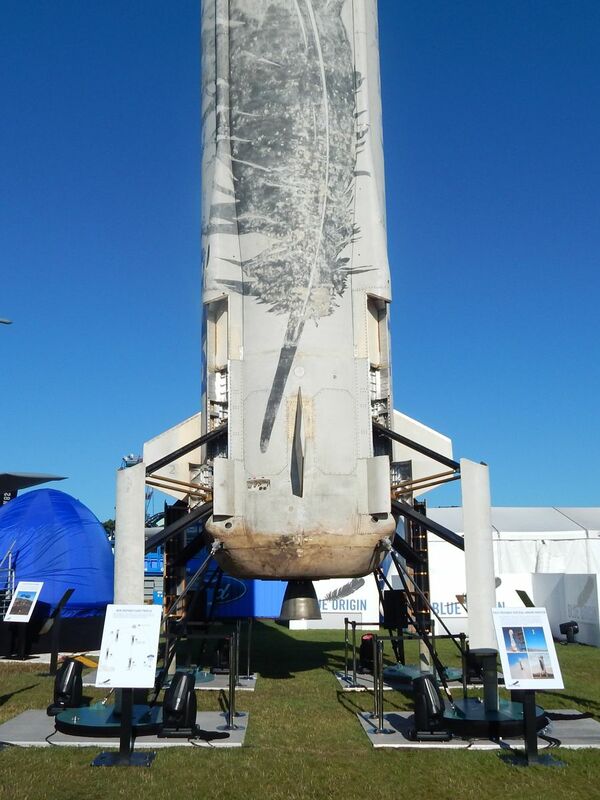 The Falcon Heavy is a heavy-lift launch vehicle based on Falcon 9 technology. 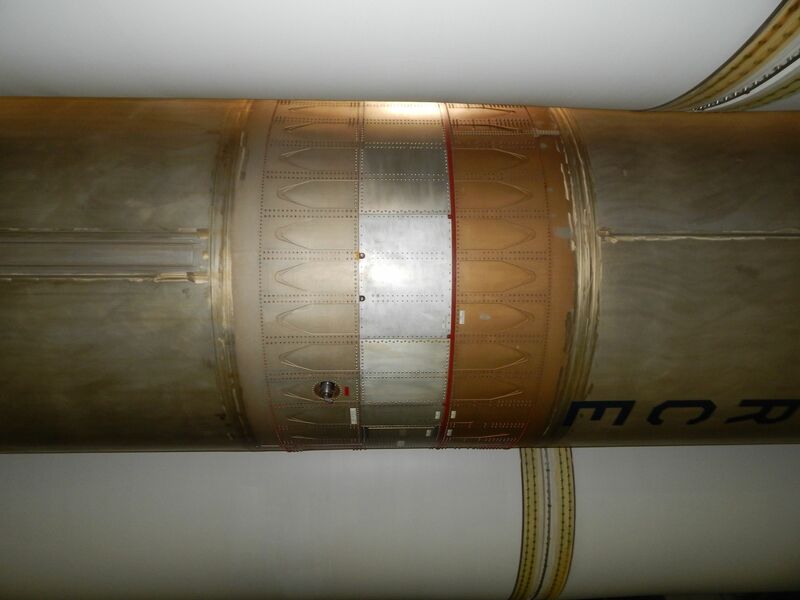 The rocket features a modified Falcon 9 first stage, with two additional stages used as strap-on boosters. 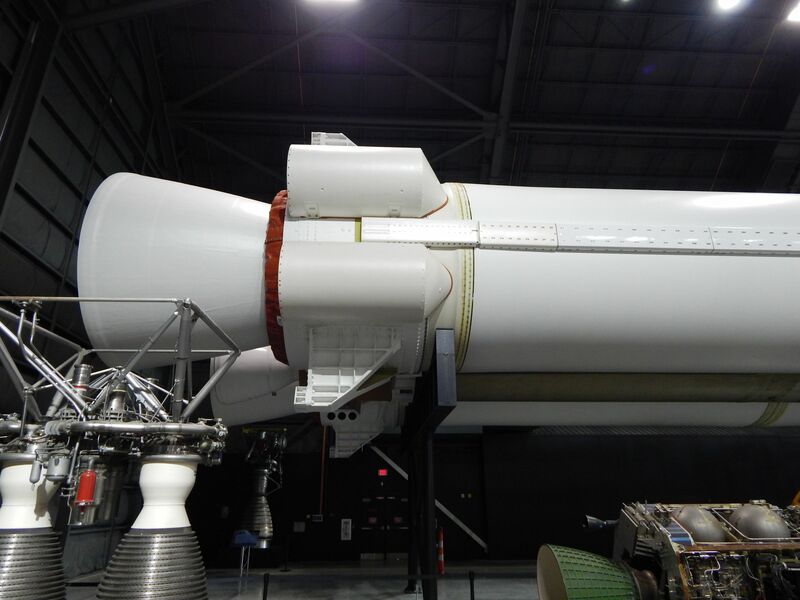 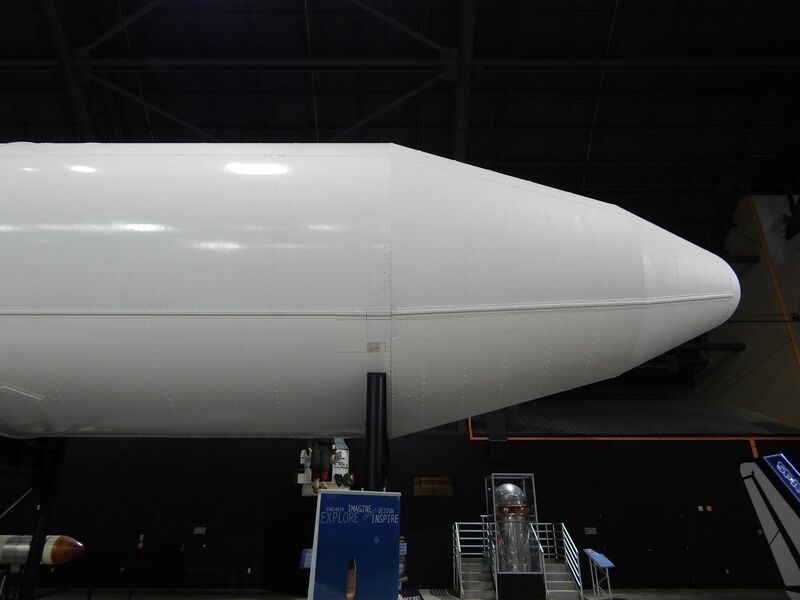 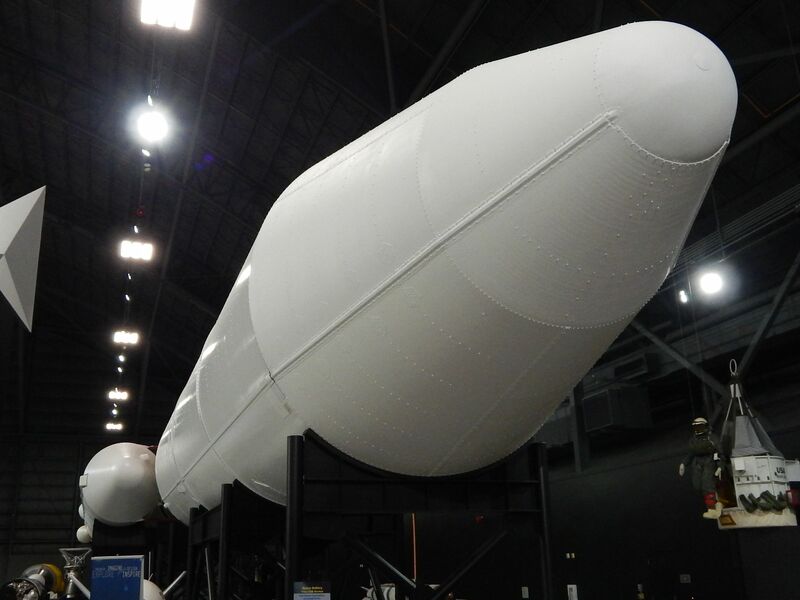 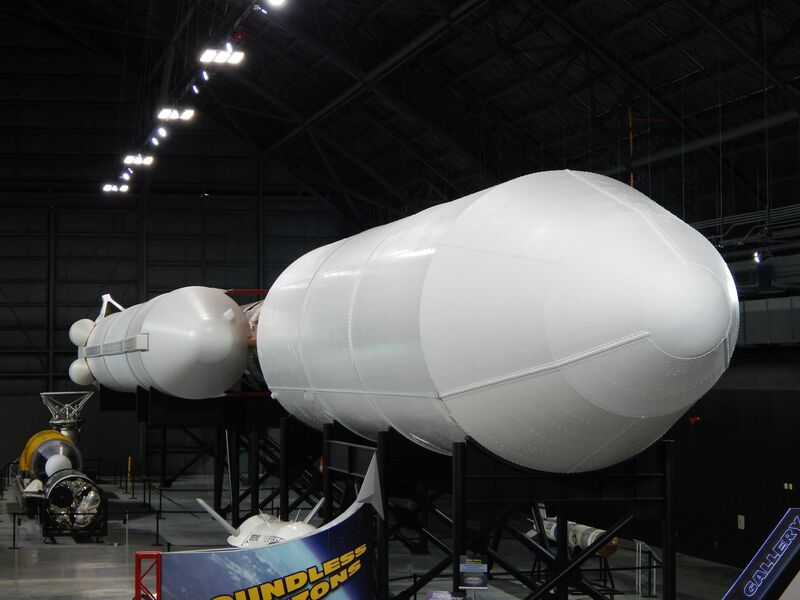 The second stage and fairing is similar to those used on the existing Falcon 9. 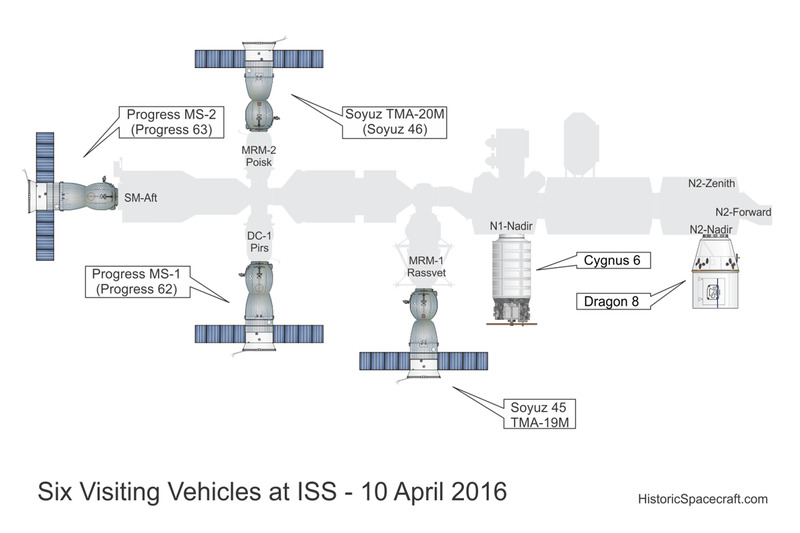 For most payloads, the three booster stages will be recoverable. 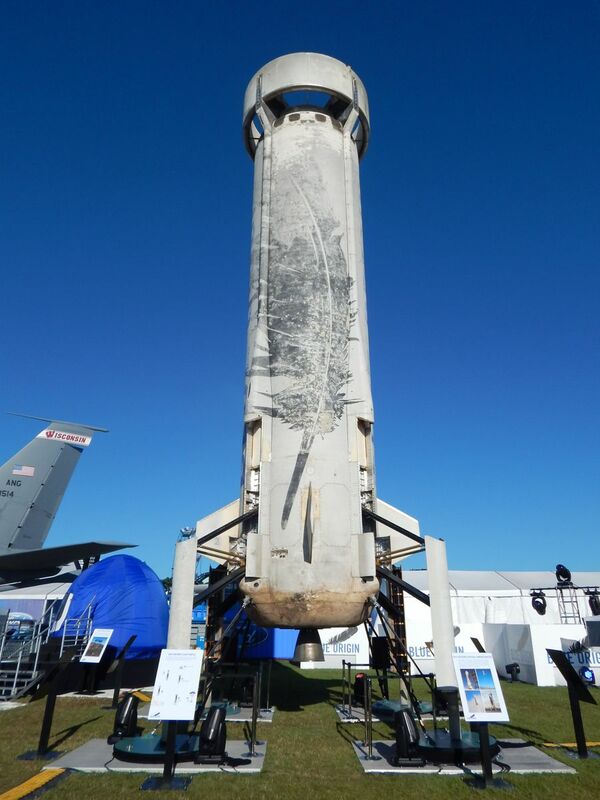 The first Falcon Heavy test flight was flown on 6 Feb 2018. 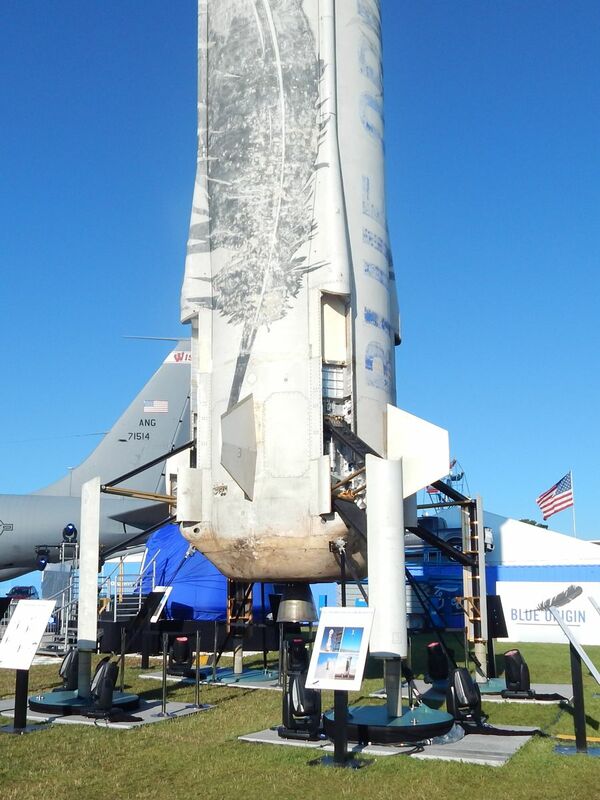 The successful mission was launched from pad 39A at Kennedy Space Center and placed the payload, a Tesla roadster, into a heliocentric orbit with an aphelion beyond the orbit of Mars. 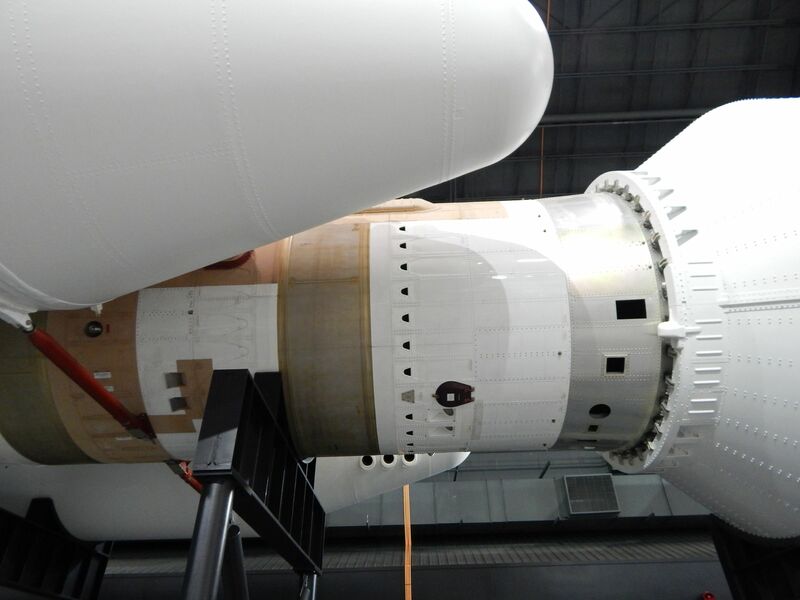 Attempts were made to recover all three boosters. 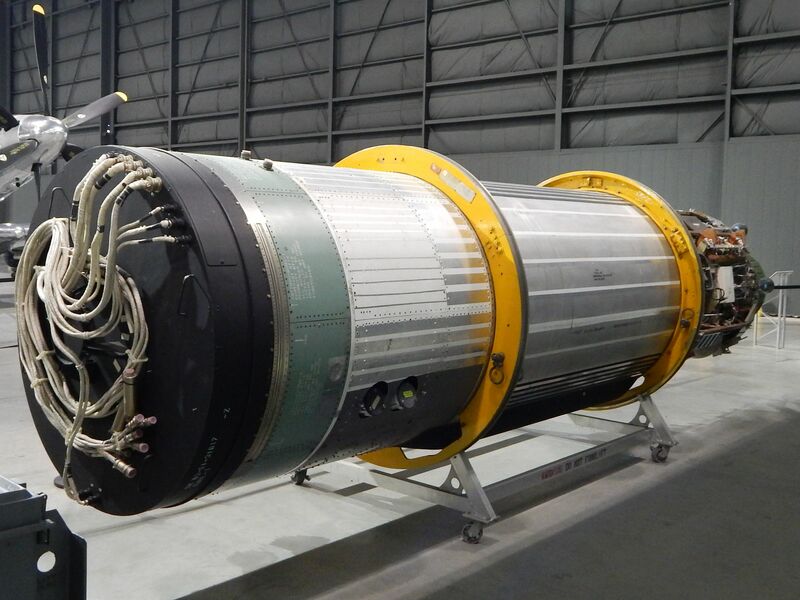 Each of the side boosters returned to successful landings at Cape Canaveral. 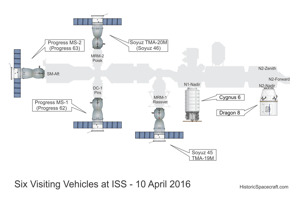 The planned core stage landing, on a barge at sea, failed. 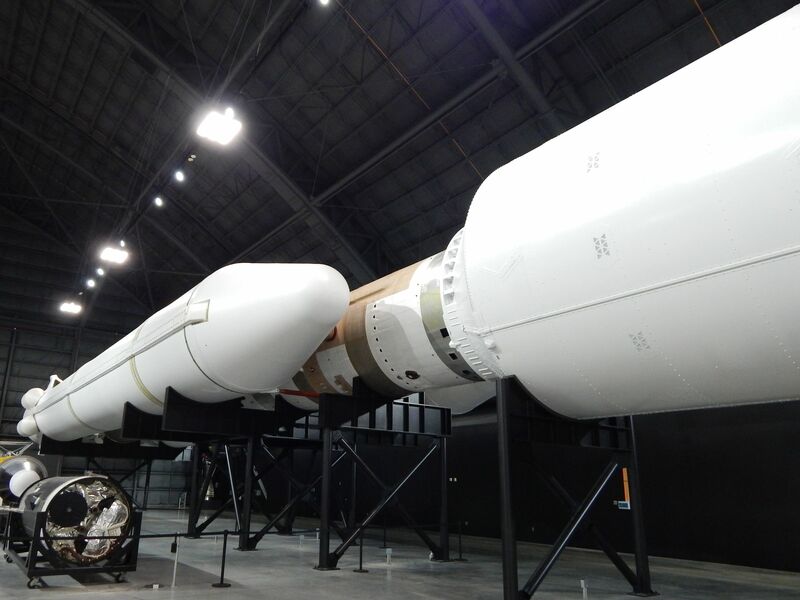 Both side boosters were making their 2nd flight, each having launched payloads on previous missions. 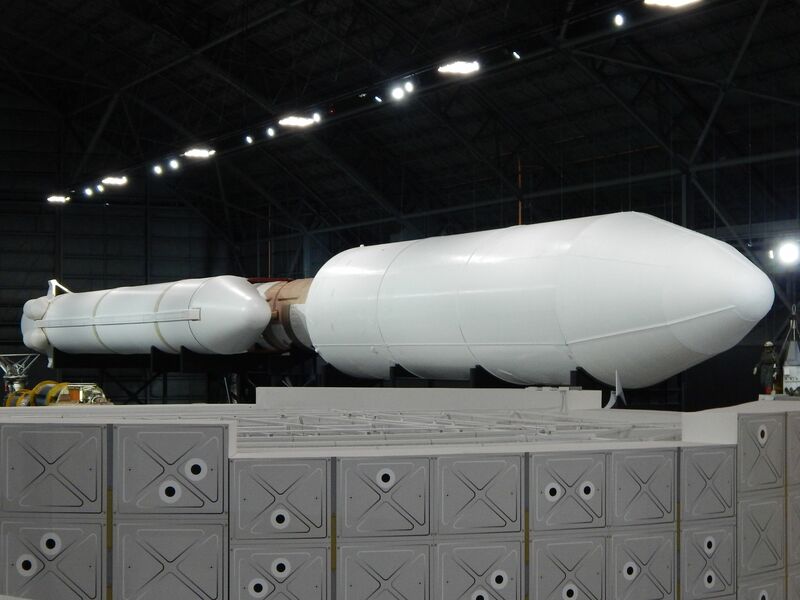 Future payloads may include large communications satellites, Department of Defense payloads, and interplanetary missions. 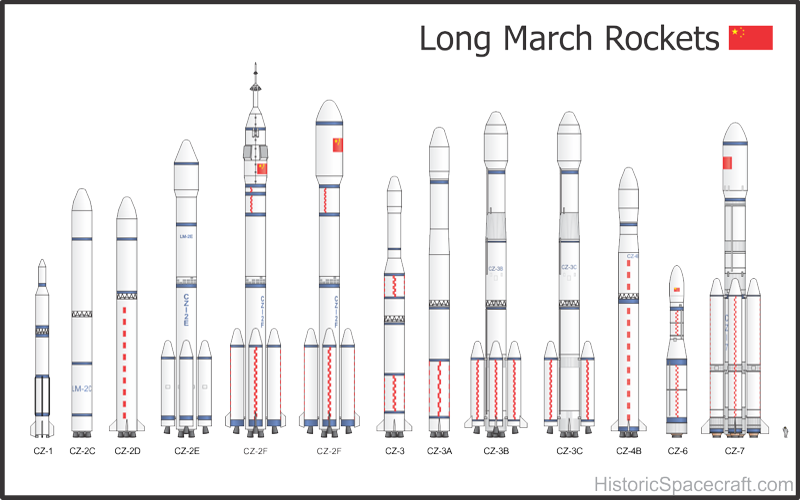 The Chinese rockets graphic has been updated to include the Long March 5 (CZ-5) rocket. 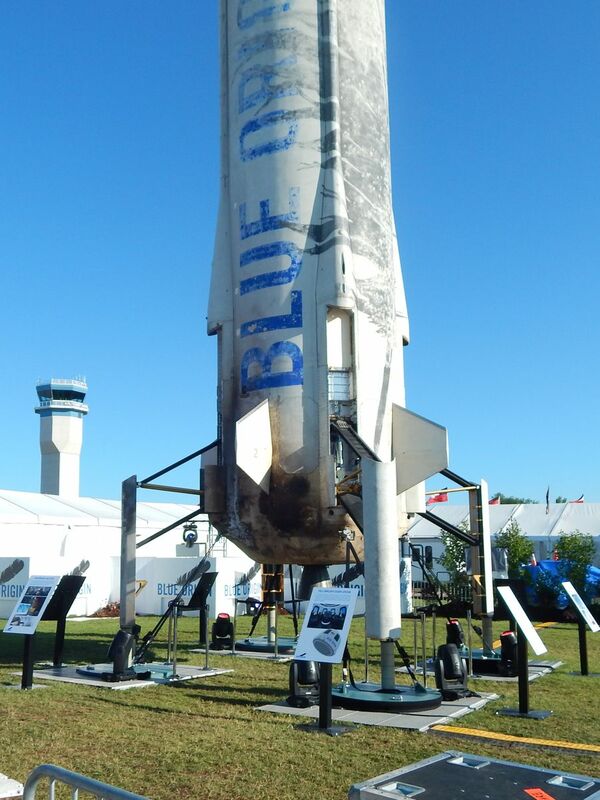 The CZ-5 flew a successful inaugural mission in late 2016. 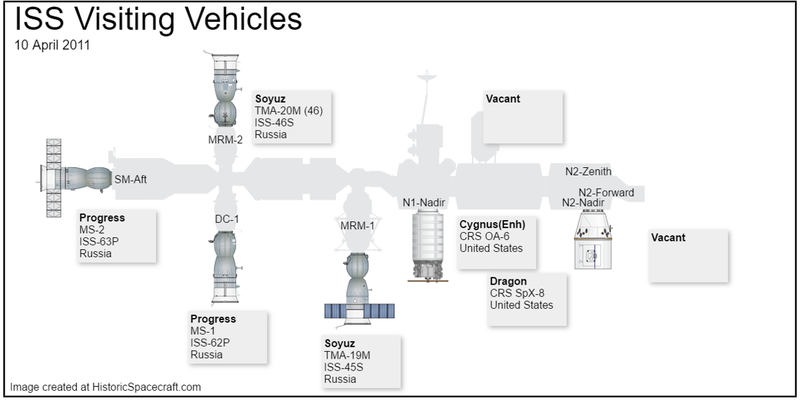 The second CZ-5 mission, launched in 2017, was a failure. 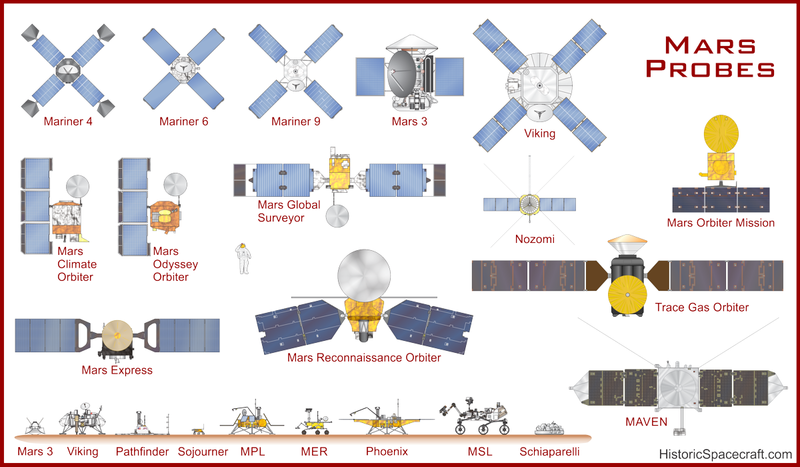 I have updated the "Mars Probes" graphic to include several recent missions, including the Indian Mars Orbiter Mission, the European Trace Gas Orbiter, and the Schiaparelli lander missions. 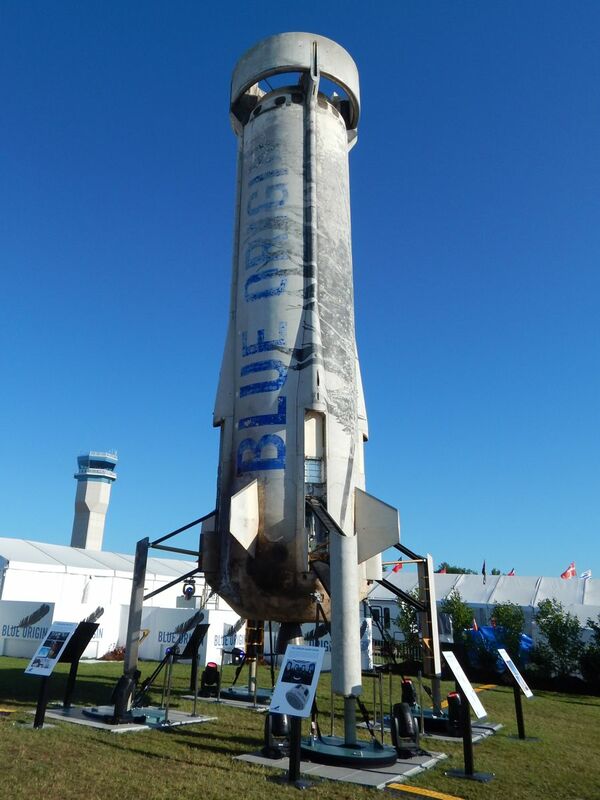 Designed, built, and operated by Blue Origin, the New Shepard is a space vehicle designed to transport both passengers and scientific payloads into space. 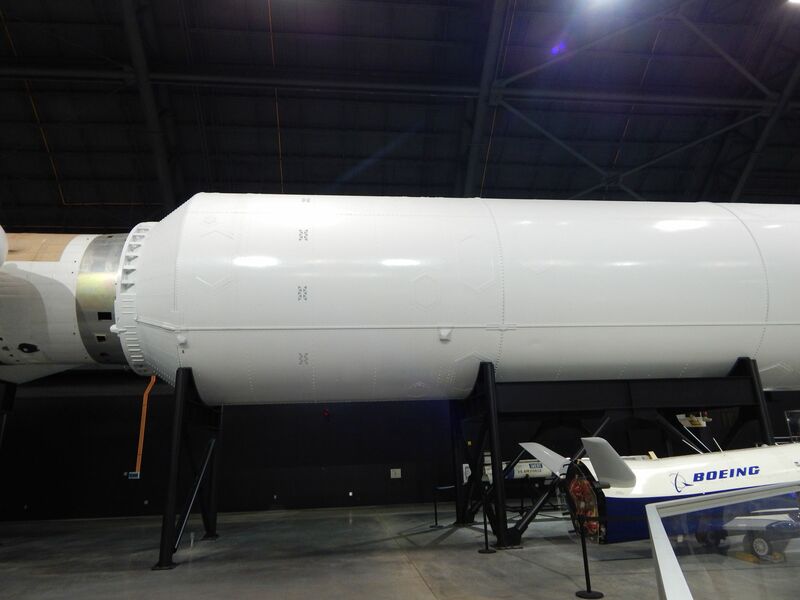 The vehicle is comprised of a rocket and a capsule, with both components being reusable. 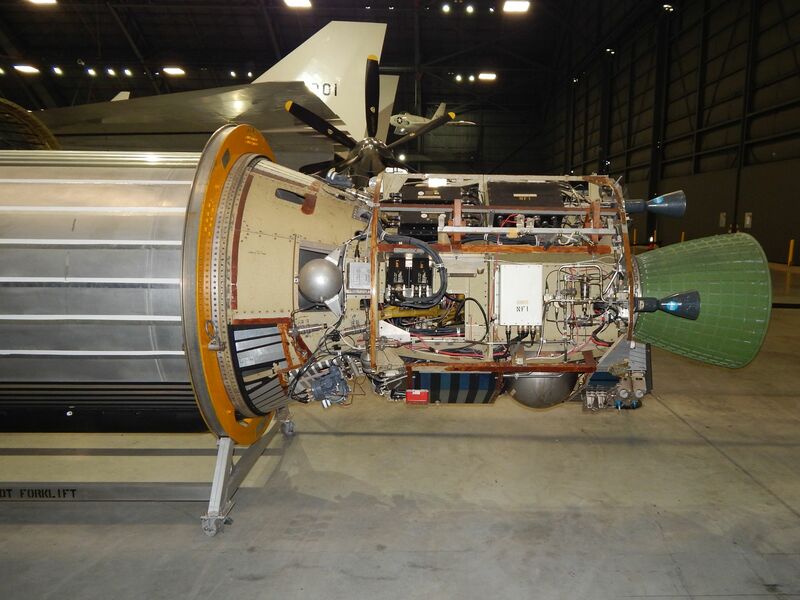 The capsule and rocket separate after engine cut-off and land separately. 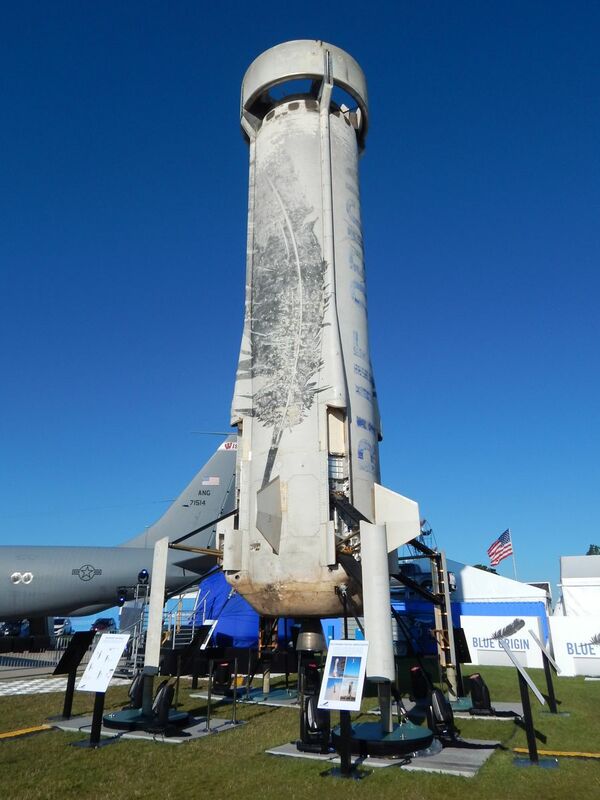 The rocket, free falling most of the way, re-lights its engine to reduce velocity as it approaches the ground and makes a vertical landing on deployable landing gear. 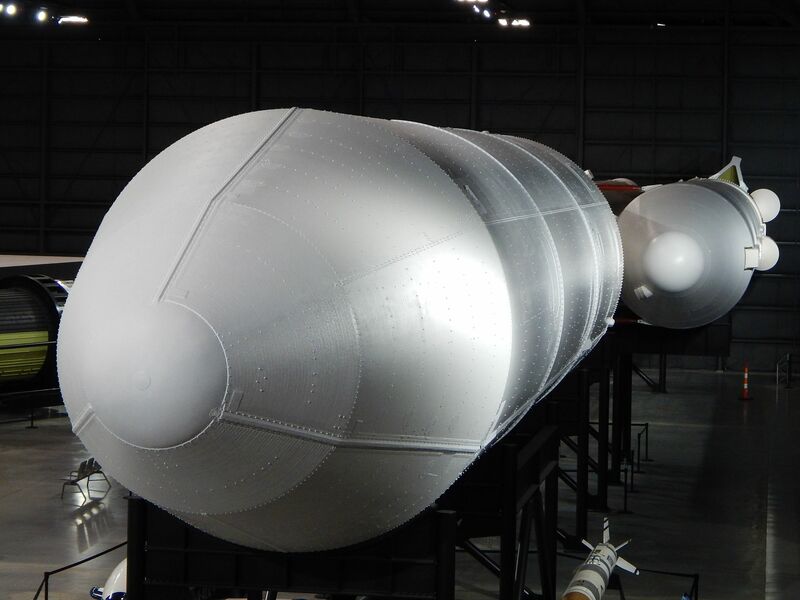 The capsule separates from the rocket at high altitude and descends under parachutes. 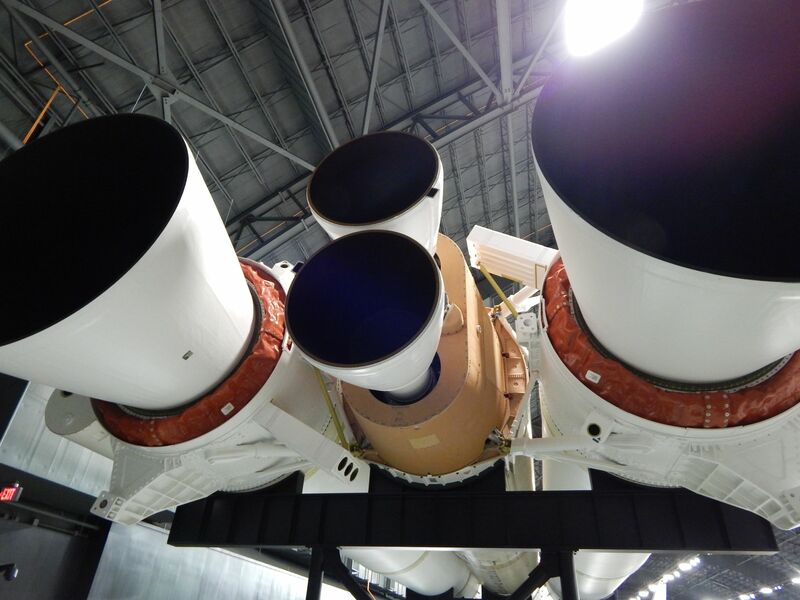 An instant before landing, retro-rockets fire to further reduce the capsules touchdown speed. 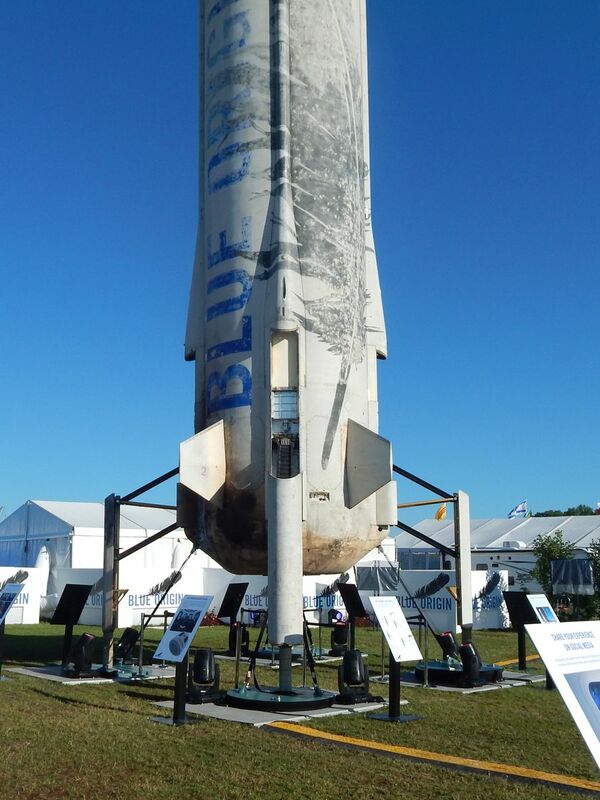 The first New Shepard passenger flights could occur in 2018. 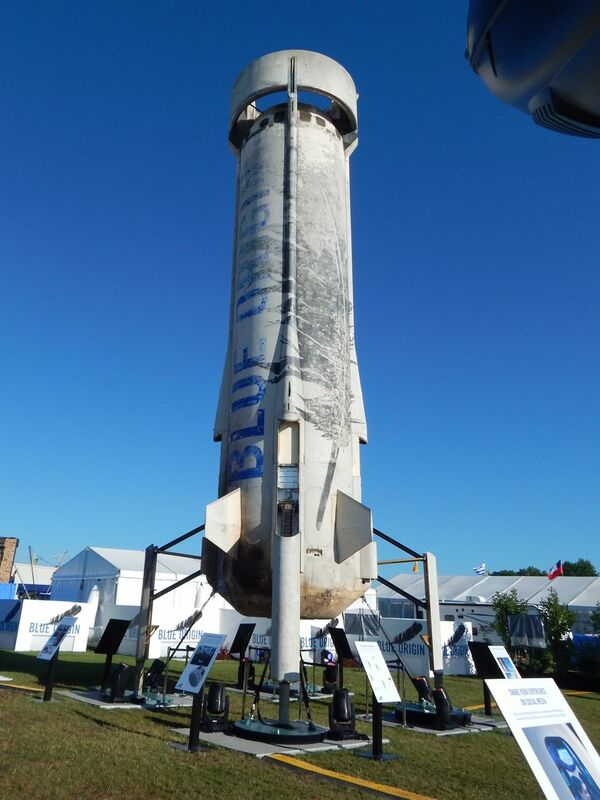 More information can be found at Blue Origin's website. 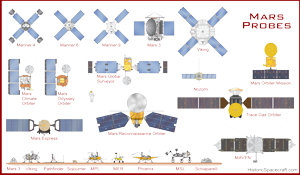 Since starting HistoricSpacecraft.com, I have fulfilled a great many art use requests for space related magazines, websites, and other publications. 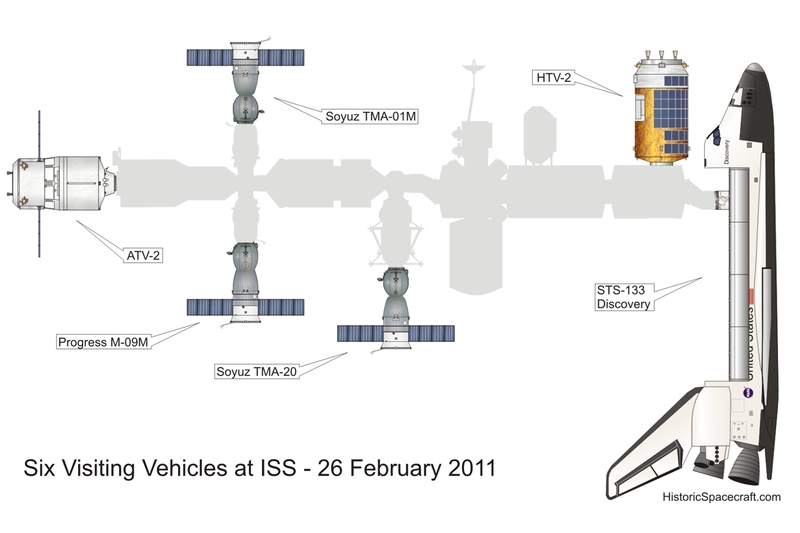 One illustration in particular, a diagram showing six spacecraft docked to the ISS in 2011, has received a lot of interest. 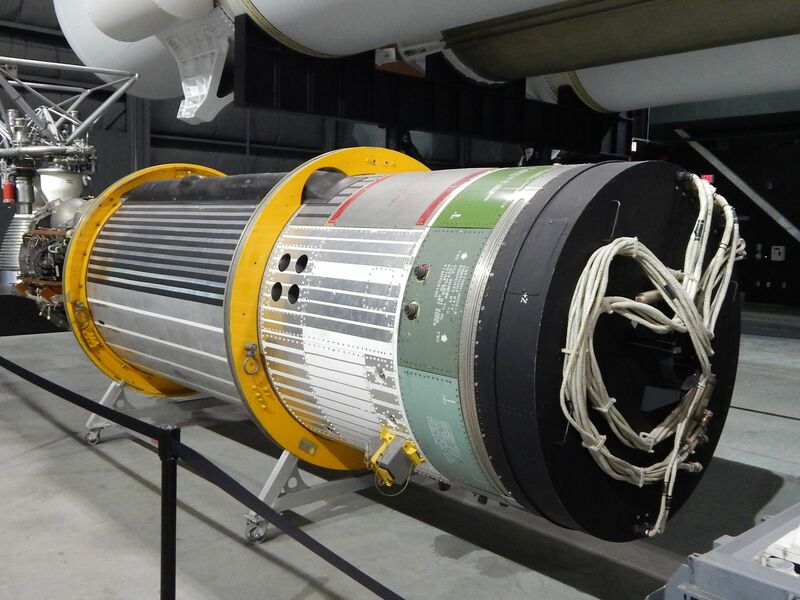 The artwork appeared in several magazines, scientific papers, and museum displays (Including an exhibit at the National Air and Space Museum). 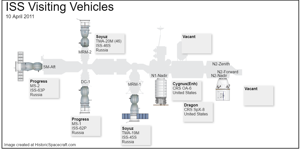 I have also learned that versions of the artwork are being used in documents at NASA. 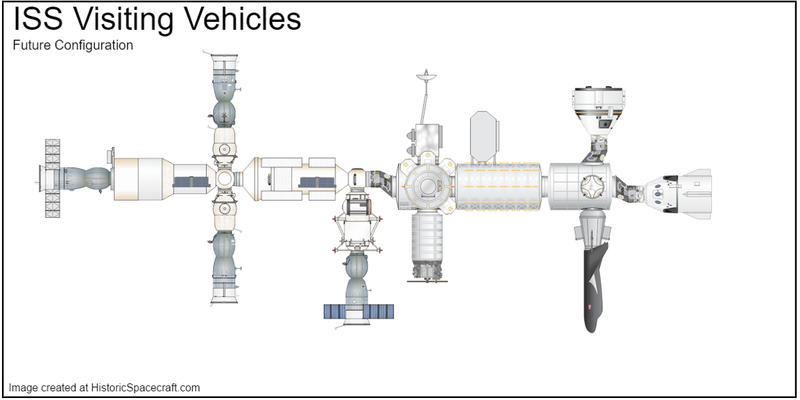 I decided to create a simple web app that allows users to easily create similar diagrams reflecting different arrangements of spacecraft at the space station. A link to the app is now included in the left-side navigation menu as "ISS Vehicles" under "Interactive Features". 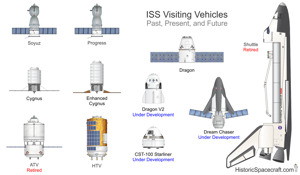 The following sample illustrations were created using the app. 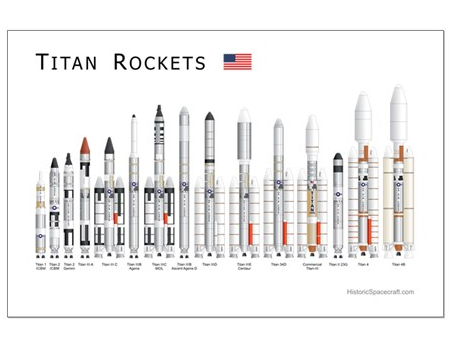 I've had many requests over the years to make more of my artwork available for purchase in poster format. 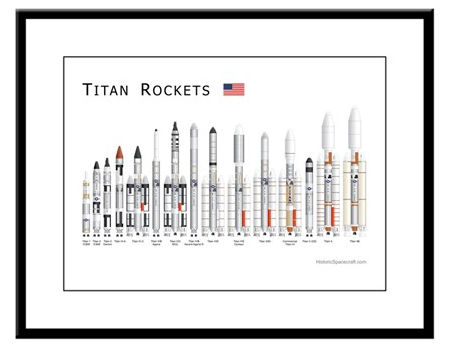 I recently added a Titan rockets poster to the Historic Spacecraft Store at CafePress. 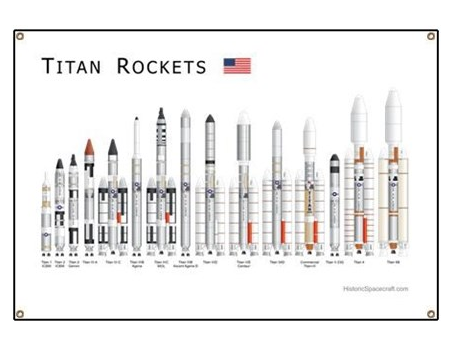 The poster includes 15 Titan missiles and space launchers and is available in three styles, a poster, a framed print, and a banner. 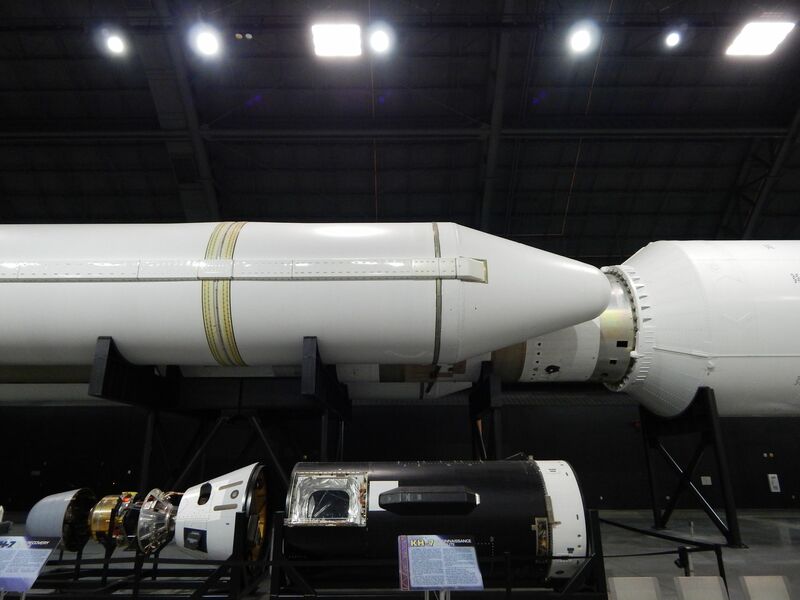 China is in the process of modernizing much of its space-launcher capabilities. 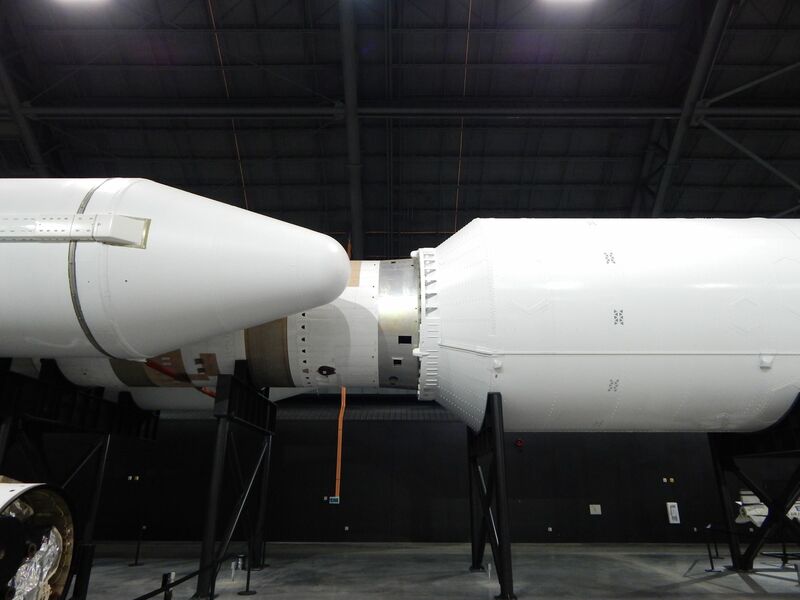 The new rockets being designed and introduced are more environmentally friendly than previous versions. 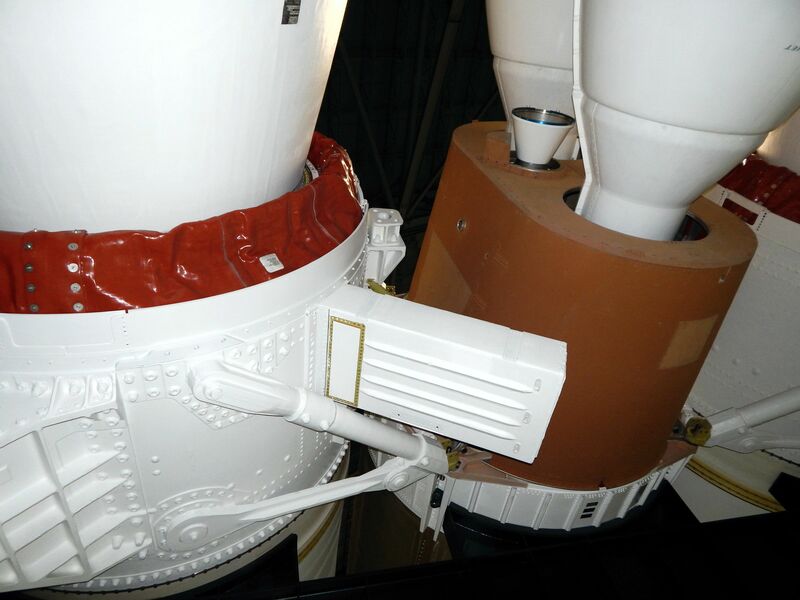 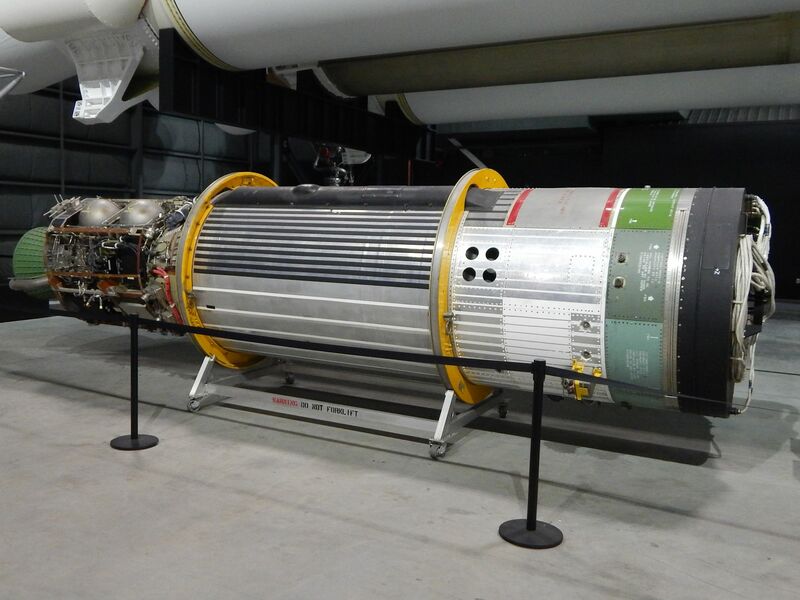 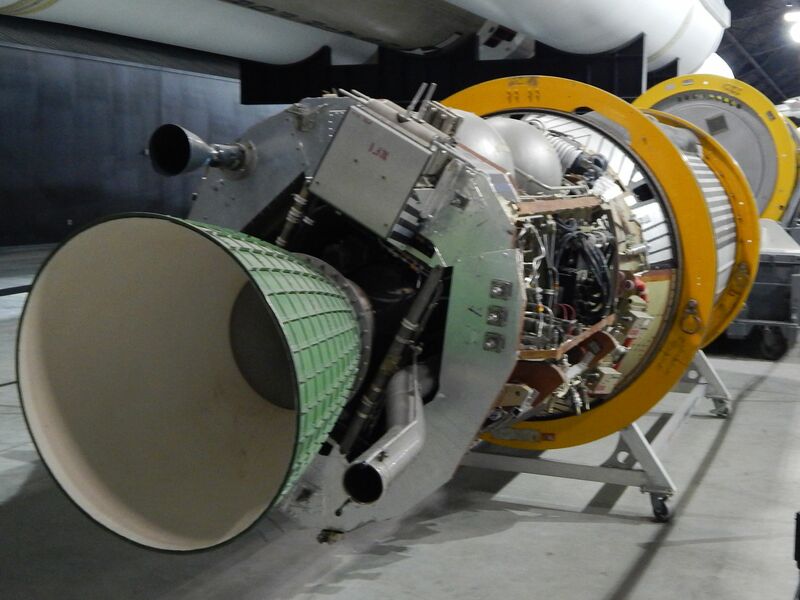 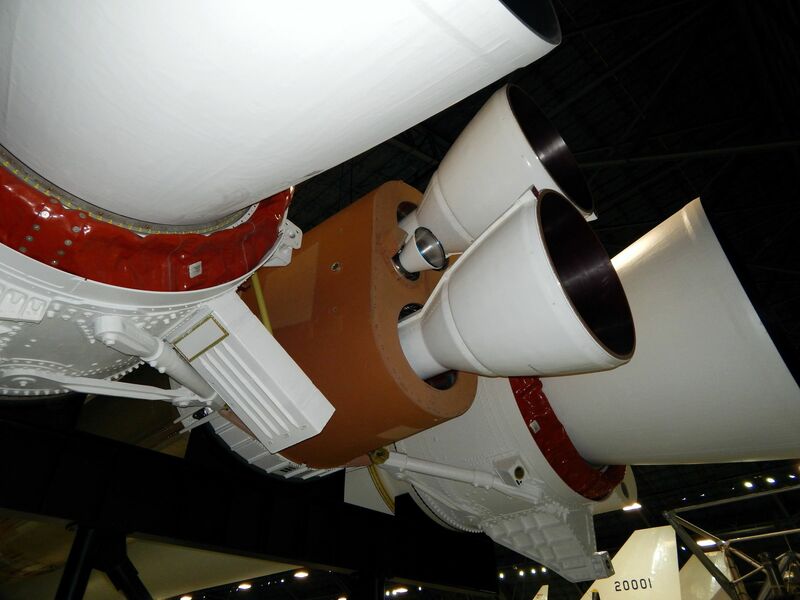 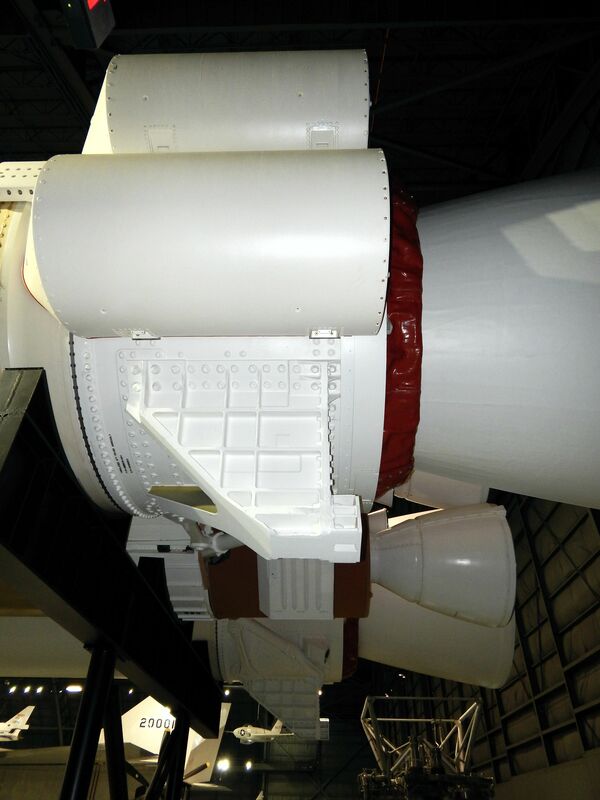 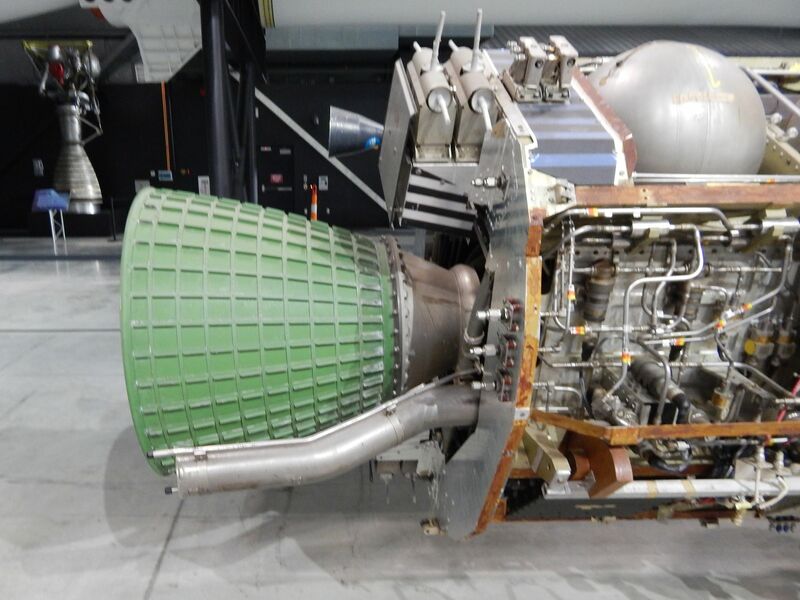 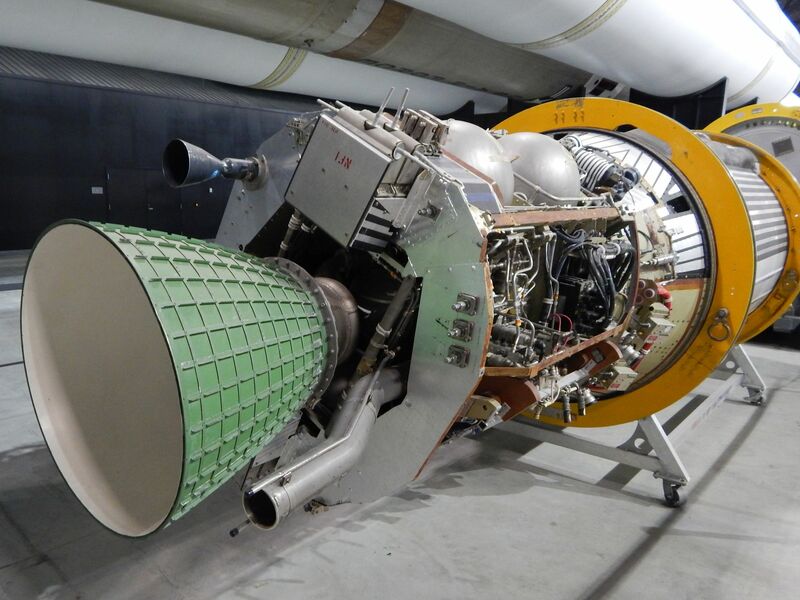 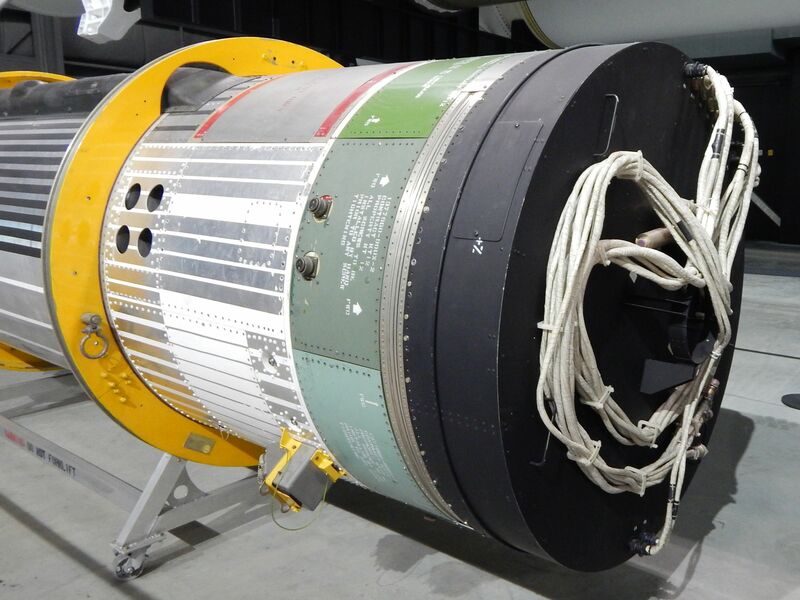 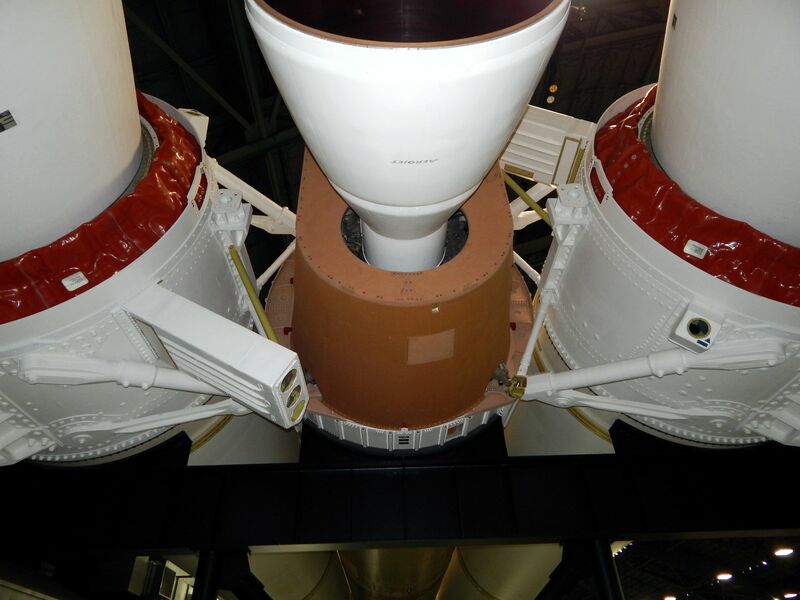 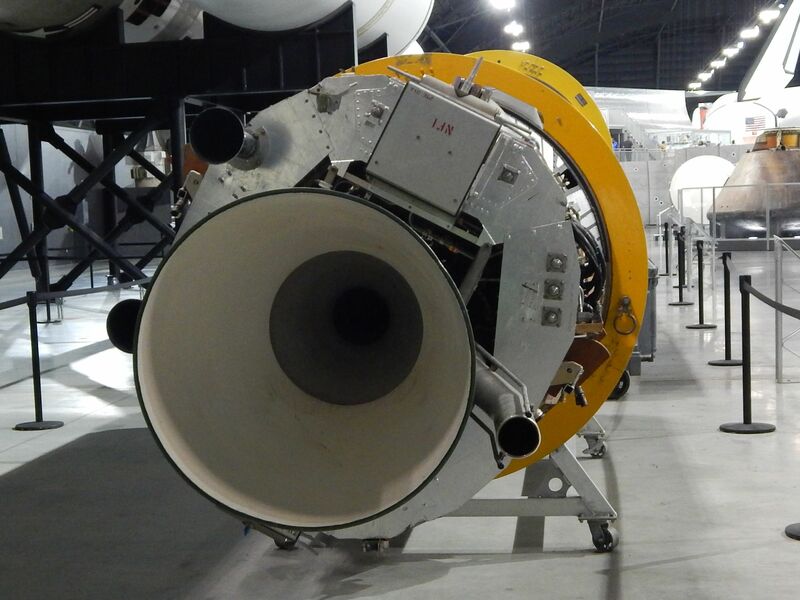 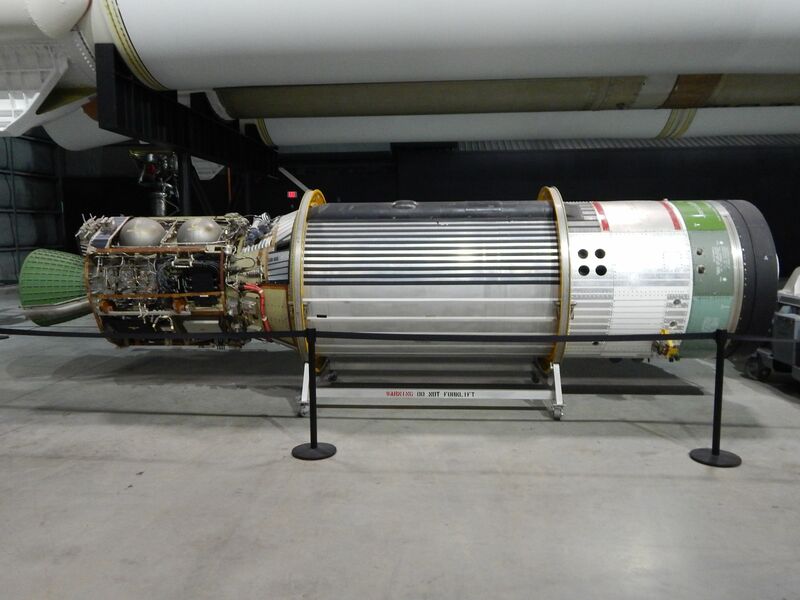 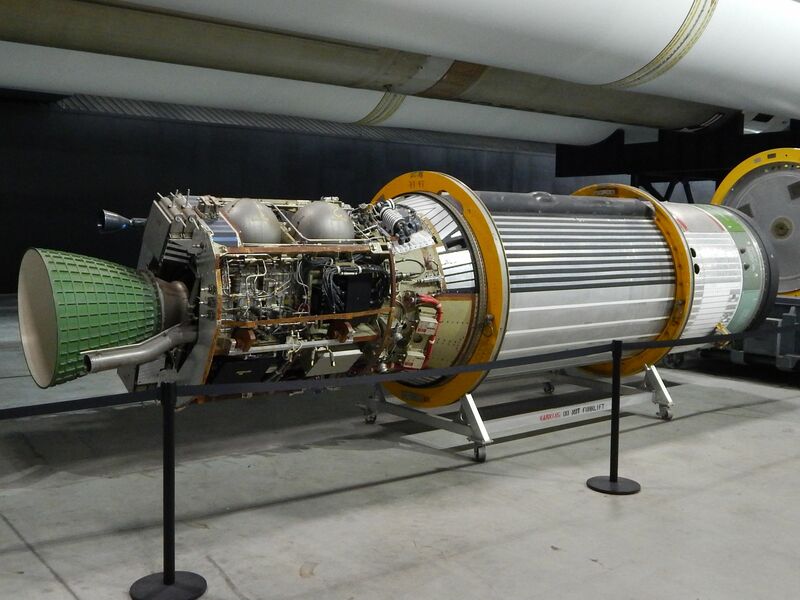 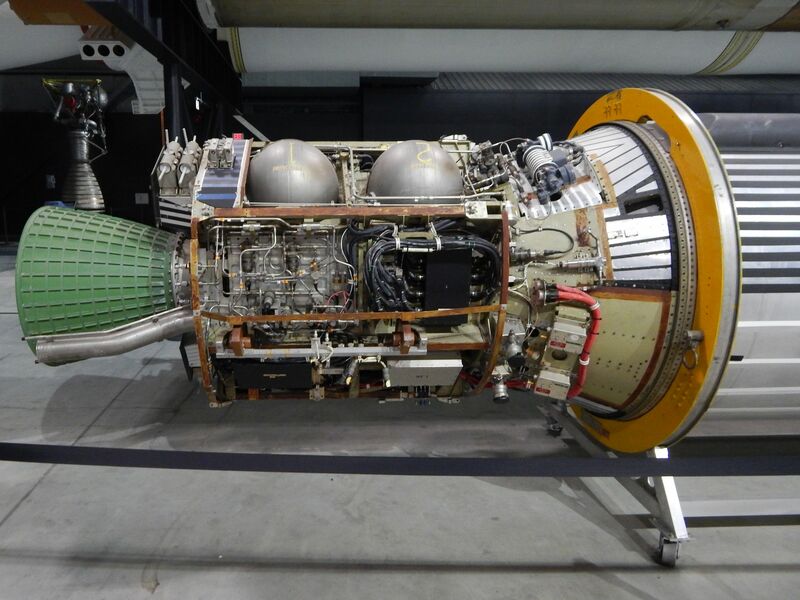 While existing Chinese launchers generally used toxic hypergolic propellents, the new designs use kerosene or hydrogen as fuel for the first and second stages. 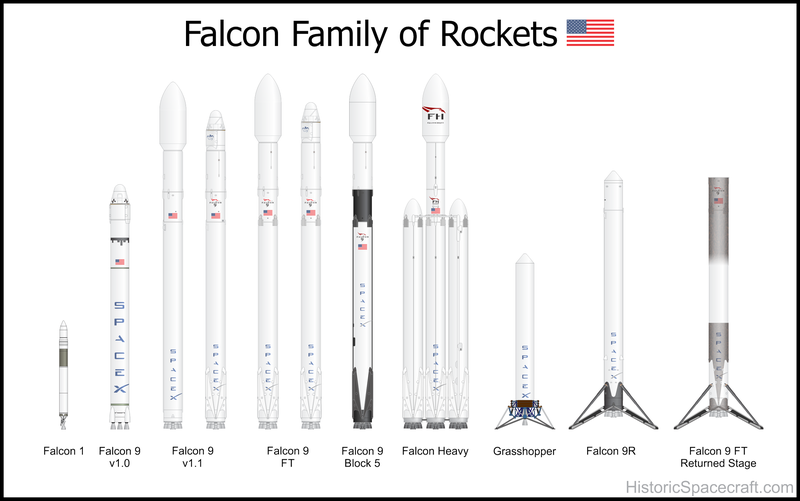 Three new families of rockets are currently being introduced. 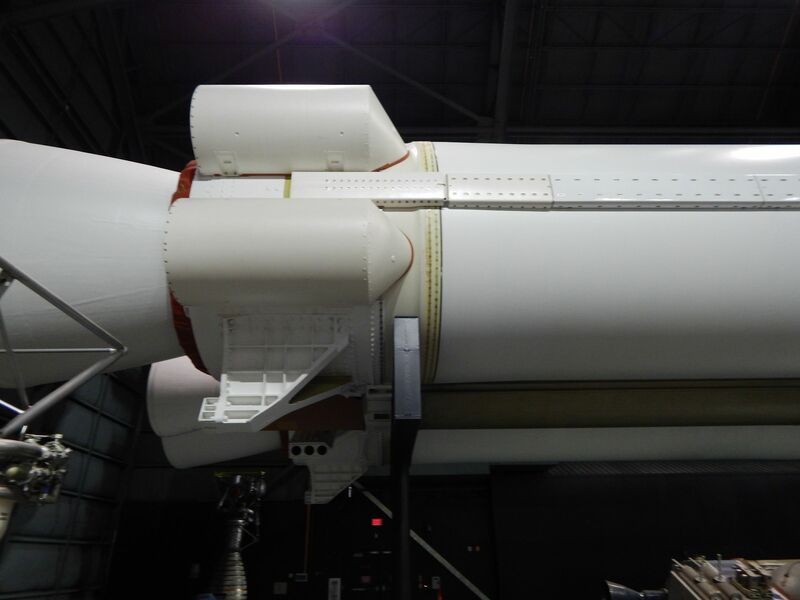 The CZ-6 small payload launcher first flew in 2015, the CZ-7 medium lift rocket flew in June of this year, and the CZ-5 heavy lift rocket is scheduled to fly later this year. 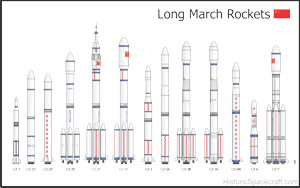 The Chinese Long March rockets graphic has been updated to include Long March 6 and 7. 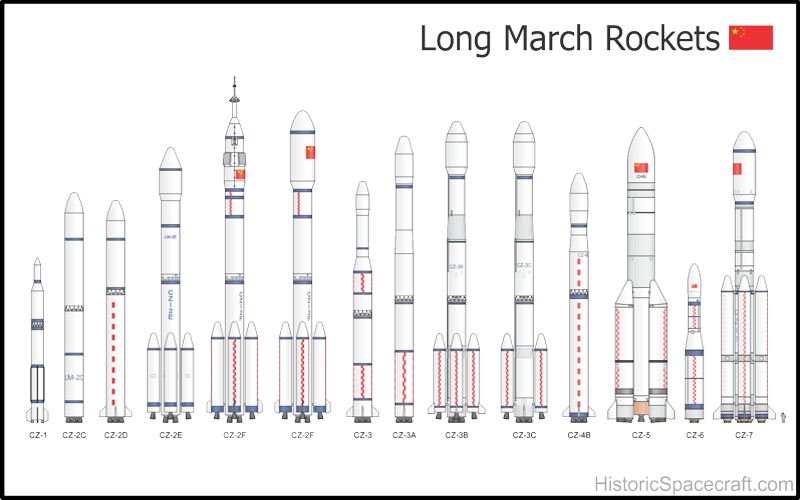 I have also added entries for the new rockets on the Chinese rockets page. 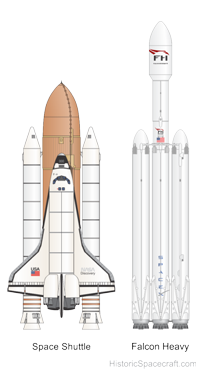 I've updated many of the Falcon rocket graphics on the SpaceX rockets page. 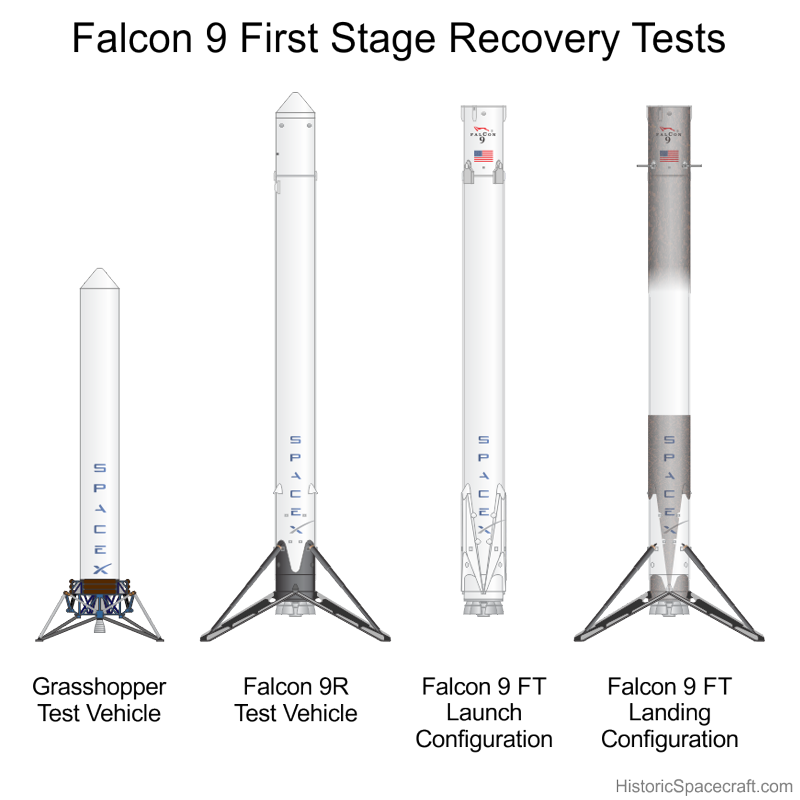 Left to right, Grasshopper, Falcon 9R, Falcon 9FT launch configuration and after recovery. 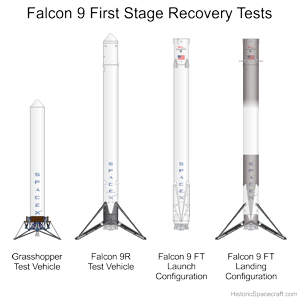 I've added a graphic to the SpaceX rockets page showing Grasshopper, Falcon 9R and Falcon 9FT rockets. 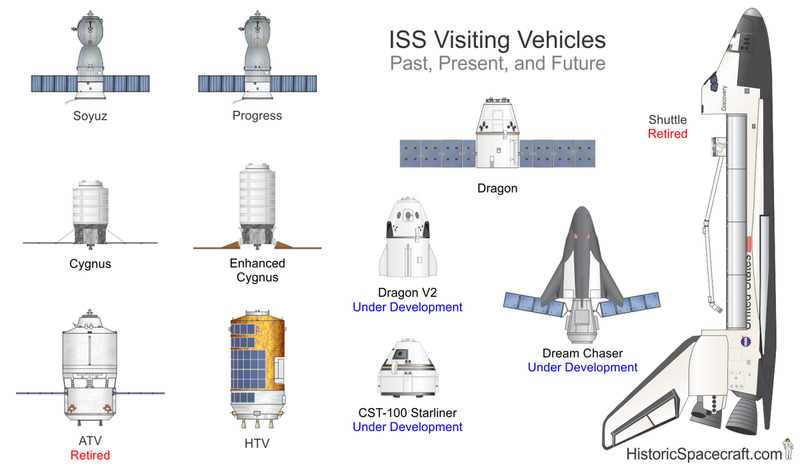 I have added two new graphics. 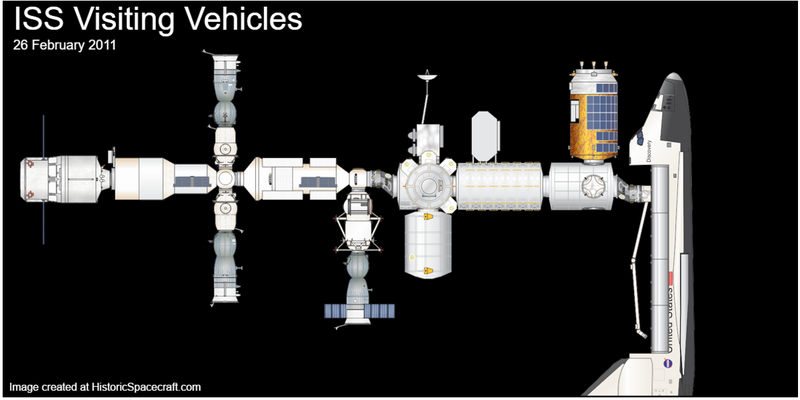 One showing the current configuration of visiting vehicles at the International Space Station, and another that shows ISS crew and cargo vehicles. 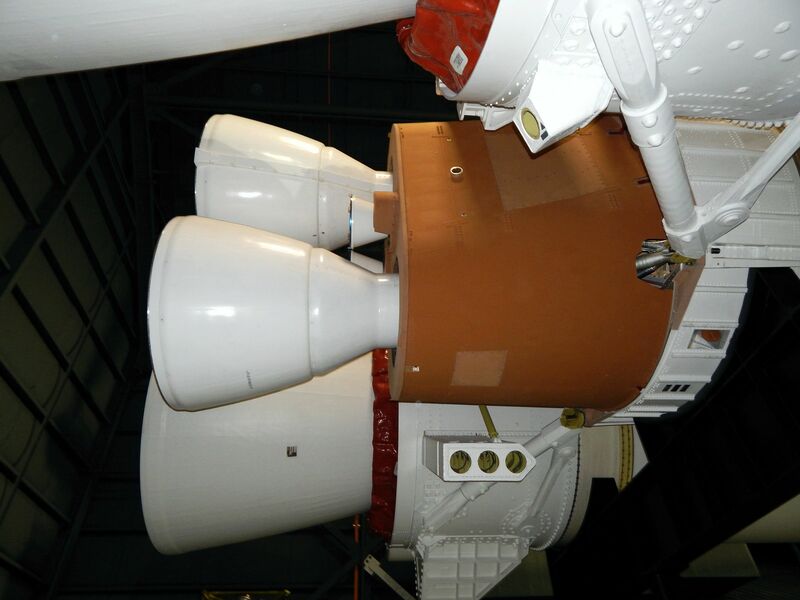 I started Historic Spacecraft in 2006. 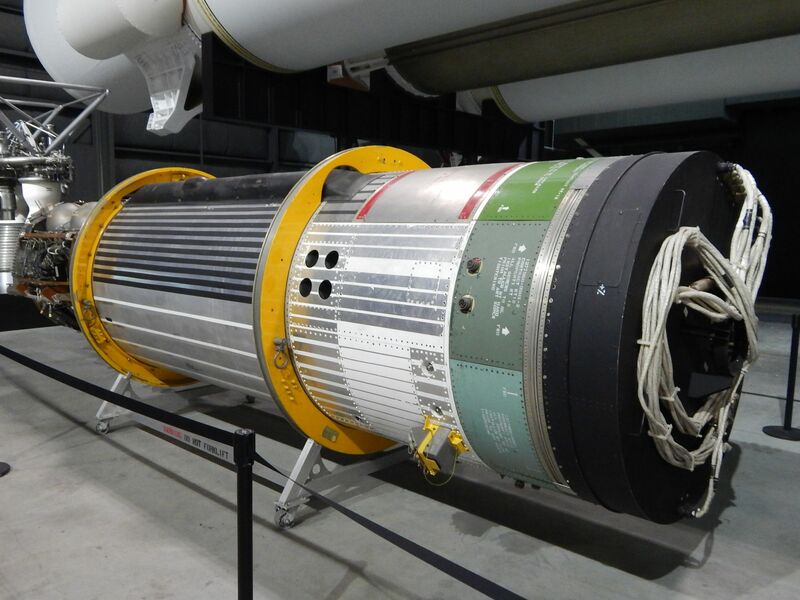 The initial goal was to host several hundred photos of space hardware from my collection. 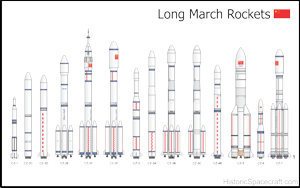 I later started to create illustrations for many spacecraft and rockets. 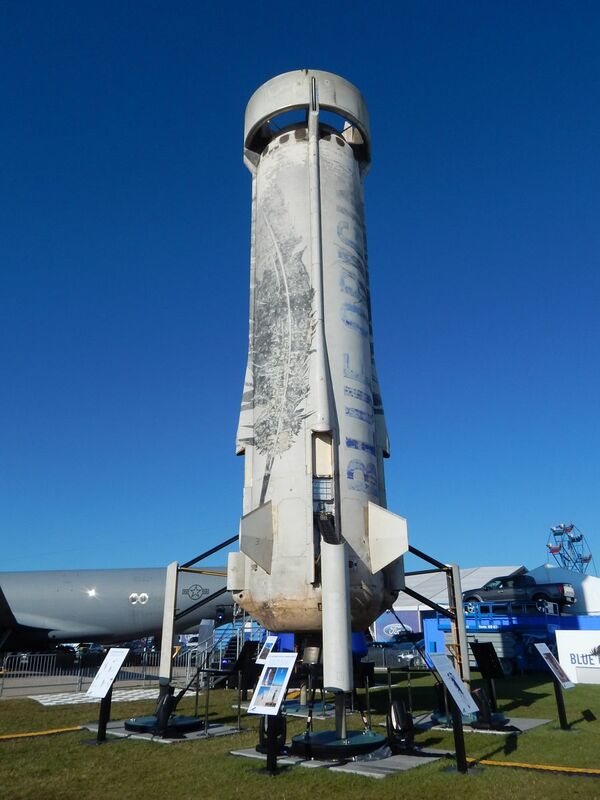 Hopefully, this website will provide a valuable resource to space modelers and space exploration historians. 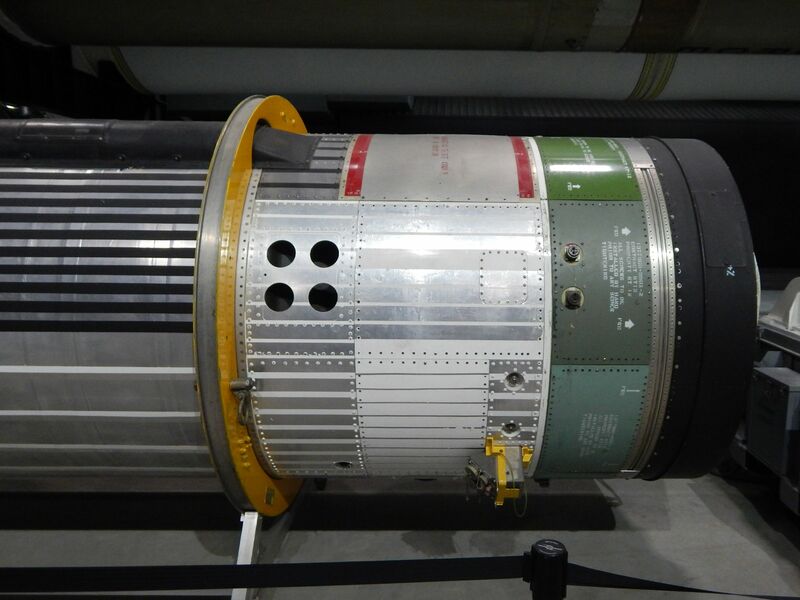 Historic Spacecraft currently has around 7,500 visitors per month. 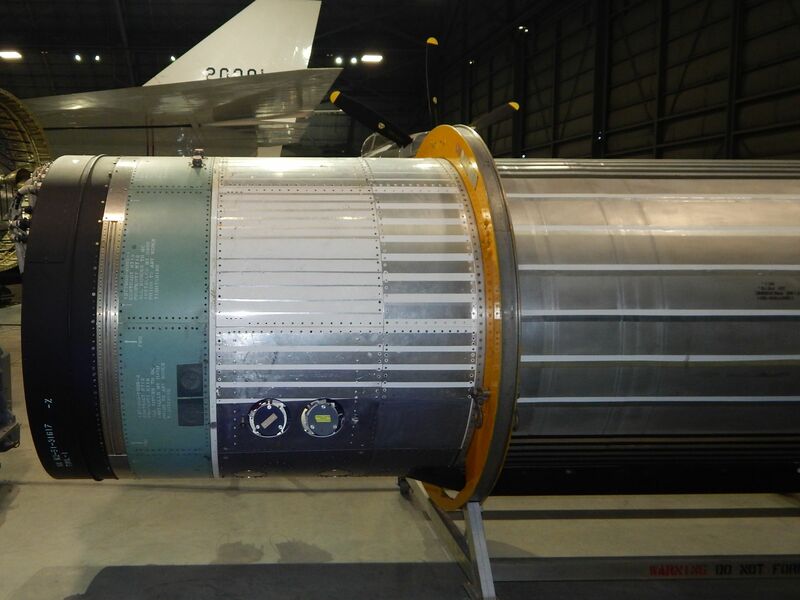 As of January 2014, the website includes over 1500 photographs and over 500 original illustrations. 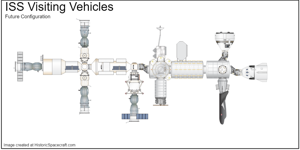 I have an online store at CafePress. 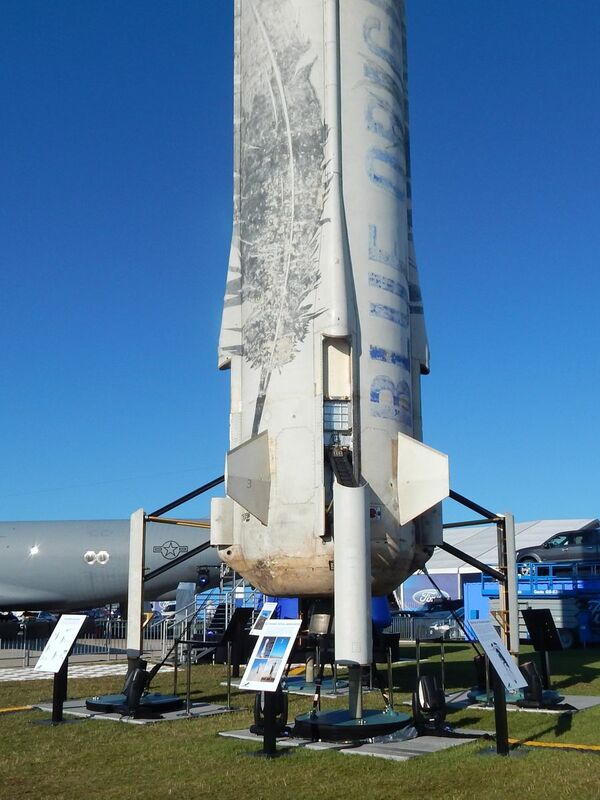 Sales from the products help support this website. 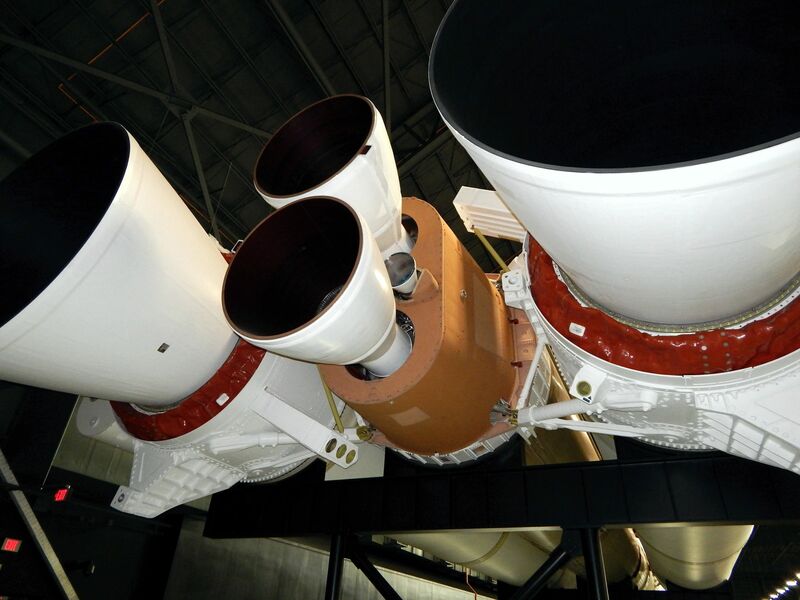 If you think this website is worthwhile, consider making a small contribution via Paypal. 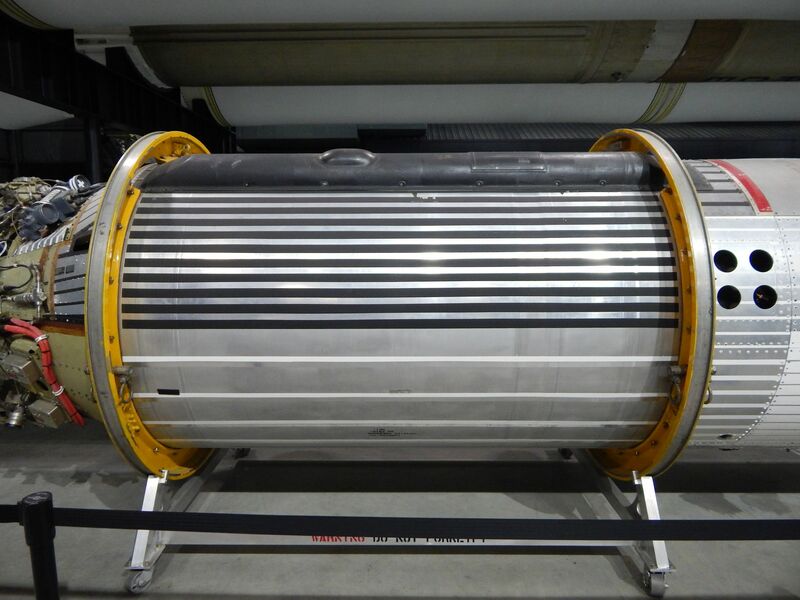 All help is greatly appreciated! 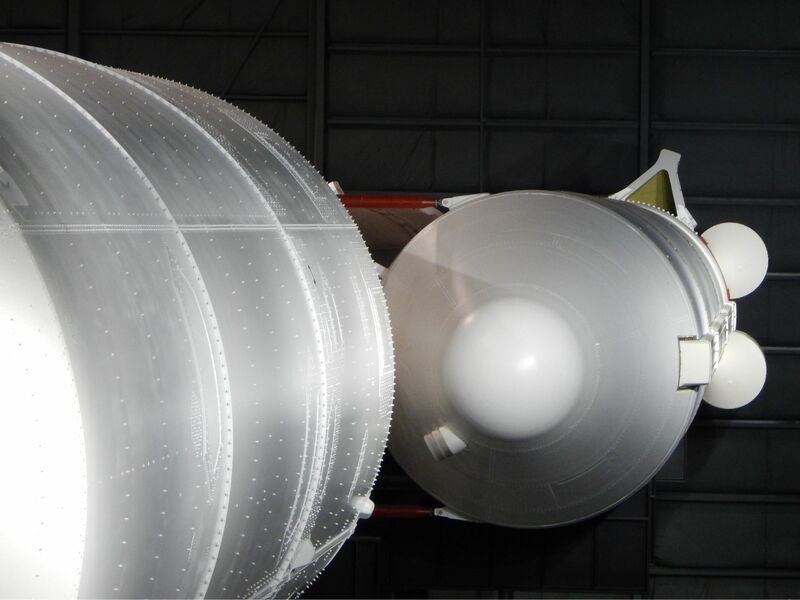 © Richard Kruse, 2006 - 2017 except where otherwise noted. 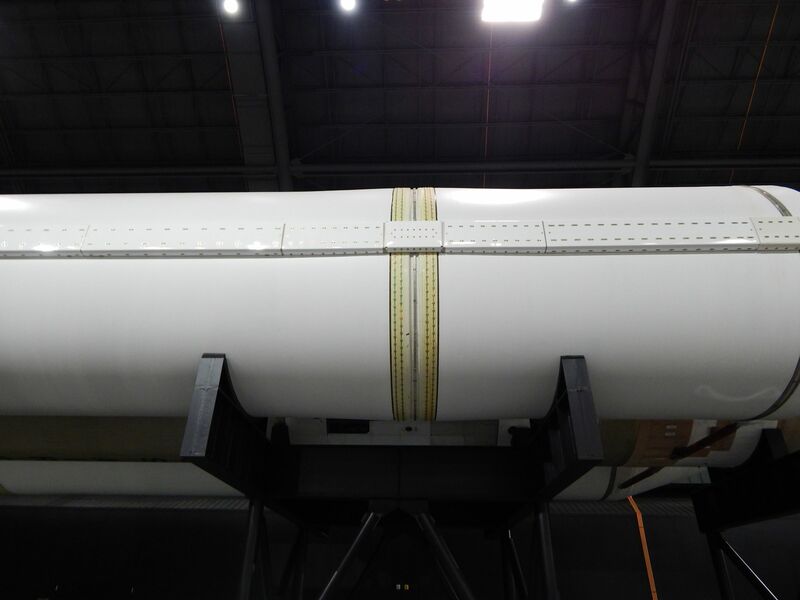 This document last modified Monday, 04-Feb-2019 19:32:02 EST. 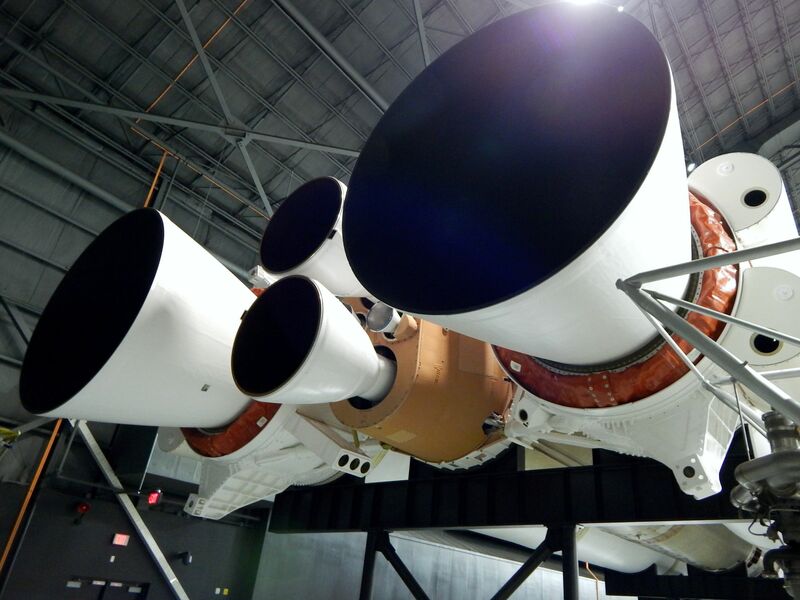 Mission Control From Mercury to Apollo 13 and Beyond, By Gene Kranz.